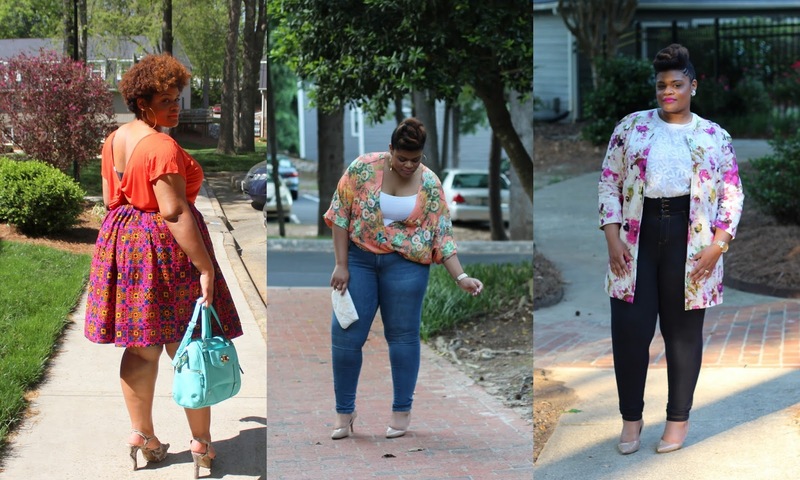 As I was putting the May Style Recap together, I realized that I wore a lot of prints last month! I love that as I get older, my style is changing. I'm taking more risks and embracing more prints. Plus, the best part is each outfit from last month consisted of either a clearance or thrift store find. No matter what your budget is, I still feel that you can be fashionable. I take a lot of inspiration from other bloggers and recreate/create looks for a cheaper price. Follow me on Facebook and Instagram to see outfits that don't make it to the blog! Which is your favorite look? Have you incorporated clearance or thrift finds into your wardrobe recently? You better work it! Your hair is soooo cute. OMG. I love how you take fashion risk and isn't afraid to play with color. Be Bold. Be Fabulous. Be You! All looks looked great to me but my favorite would be the third, I absolutely love the floral jacket! Lol! Great minds! Thank you! I will have to go and check out your experience! I love prints! And I love bright colors, especially in the summer! I love the floral prints that are so popular this season! You look great! I'll need to stop by and see if they have any in my area. Thanks girl! Thank you Logan! I never used to be into florals to this extent, but I am loving them! I love all the bright colors. That aqua bag is calling my name!